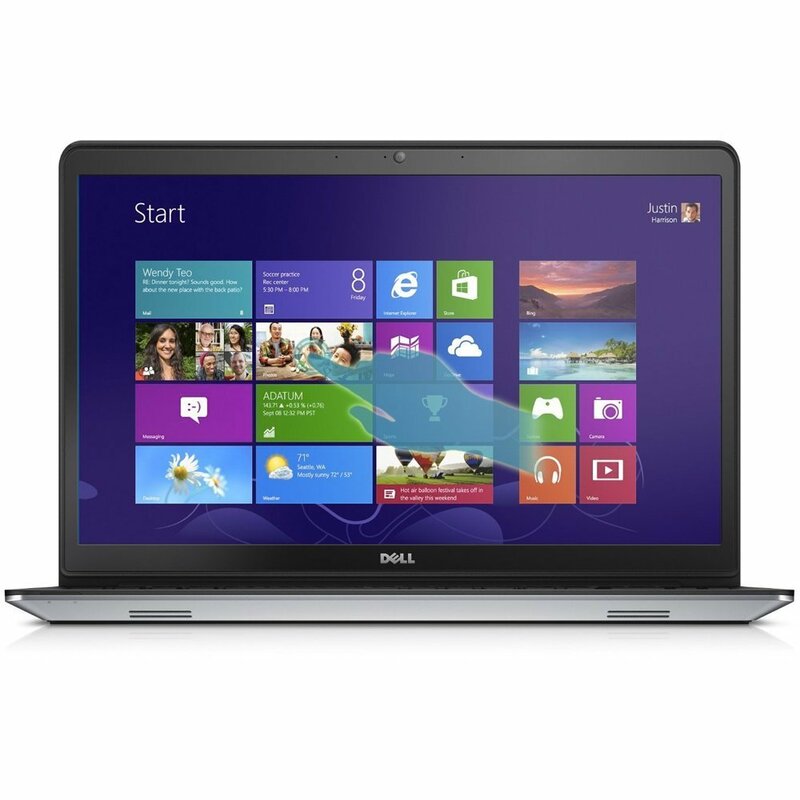 A quality good-value 15in laptop for Windows 8.1. Most budget 15in laptops tend to be chunky and plain-looking, or just downright ugly, but that’s not the case with the Dell Inspiron 15 5547. Although most of this Windows 8.1 laptop is made of plain black plastic, the metal lid adds a touch of class. It’s a surprisingly slender laptop too, helped by the omission of a DVD writer. The 5547 is still relatively heavy though at 2.3kg, rising to 2.7kg with its charger. This doesn’t make it ideal for regular use while out and about, but if you do need to travel with it then at least the 5547’s battery is certainly up to it – lasting an impressive nine hours, 47 minutes. It’s a shame the casing isn’t more rigid though – it bends and flexes under pressure quite easily. As you might expect for a laptop at this price, the 15in screen has a lowly 1366×768-pixel resolution, but that’s still sufficient for most programs. Image quality is average and the appearance of colors can change dramatically depending on your viewing angle, but at least it’s very bright. Surprisingly, the screen isn’t touch sensitive, but this is no great cause for concern using an upright touchscreen soon becomes a pain in the arm over long periods. If you really want a touchscreen, you can add one when ordering. Dell has squeezed in a number pad alongside the keyboard. The number pad’s keys are a little cramped as a result, but all the keys are comfortable to type on as they have plenty of travel. If anything, they’re a little too spongy for our liking, but we got used to it quickly. The large touchpad is spacious and accurate, although the buttons built into the bottom of the pad don’t give quite enough feedback. Where the 5547 really excels is performance. The dual-core 2GHz Intel Core i7 4510U processor is more than fast enough for most tasks, while the AMD Radeon HD R7 M265 dedicated graphics chip is powerful enough to play most modern 3D games with reasonably high lewis of graphic detail. Most other laptops at this price settle for integrated graphics. Cleverly, the 5547 can automatically switch to an Intel integrated graphics chip when not plugged in to prolong battery life. It’s often nigh on impossible to upgrade memory and storage in most modern laptops, but thankfully that’s not the case here. The bottom panel is easily removed, giving access to the interior. You can then replace the generous 1TB hard drive with an even bigger model or an SSD as well as boost the 8GB of memory to a maximum of 16GB.